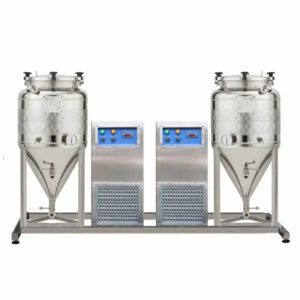 FUIC (Fermentation Units with Independent Cooling): they are compact units consists of all what is needed for the fully controlled fermentation and maturation process during an alcoholic beverage production. 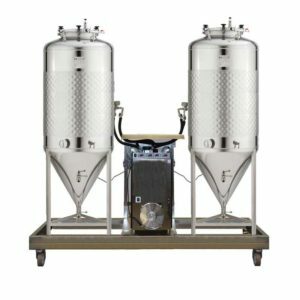 The FUIC unit includes one, two, three or four insulated cylindrical-conical tanks, water cooler, measuring and control system, electric switchbox and a base frame. This simple modular system allows the assembling of small brewery only by customer without our specialists, without a building reconstruicton, without project work, step by step. 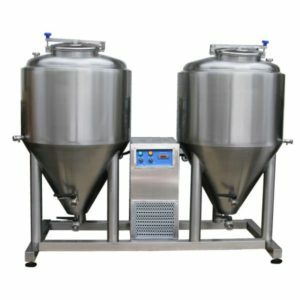 This device is also designed to for testing of samples new types of beer, wine or beverage cider.